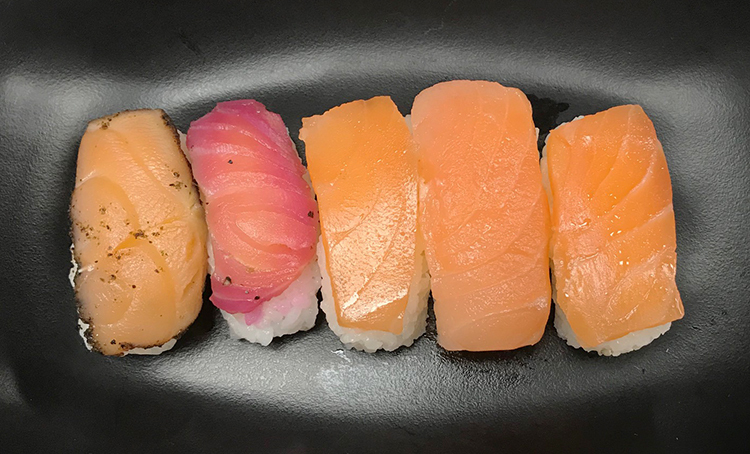 Next we tried salmon, the second type of nigiri sushi. 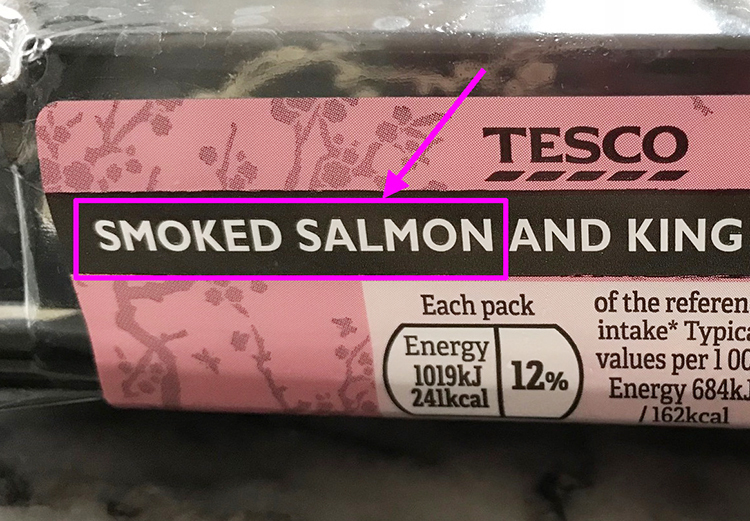 A closer inspection of the packaging reveals two key phrases: “no raw fish” and “smoked salmon”. That solved the mystery of the lengthy best-before dates. 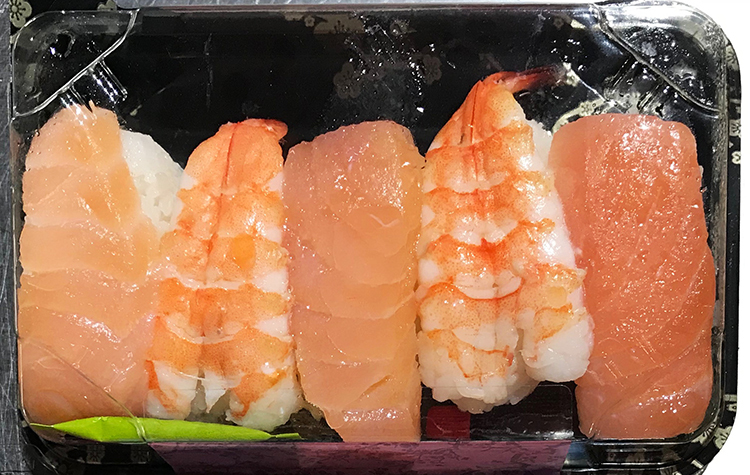 The reason why supermarket sushi lasts so long is because they use boiled prawns and smoked salmon. 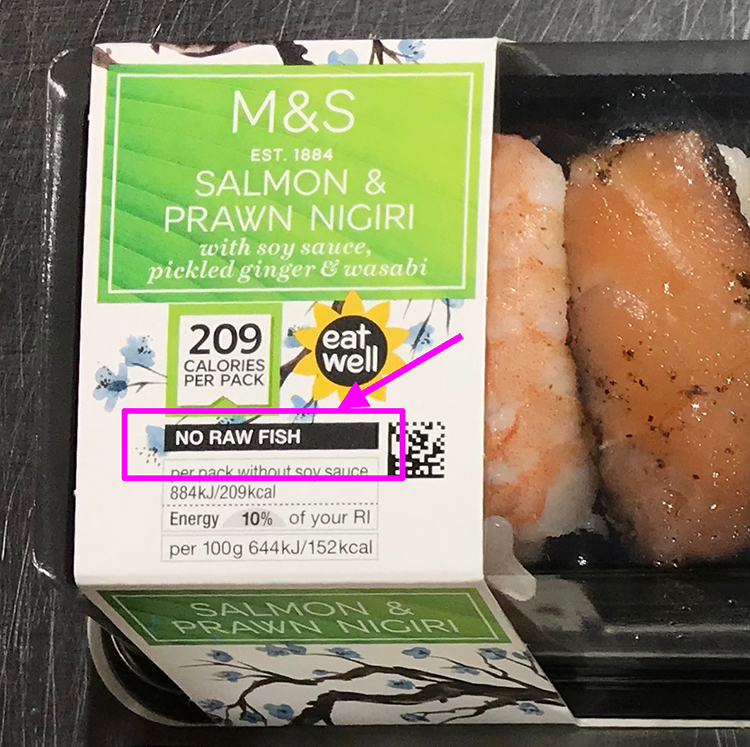 So, basically, there is no raw fish present in pre-packaged British supermarket sushi. Once we overcame our shock, we got stuck into our tasting. 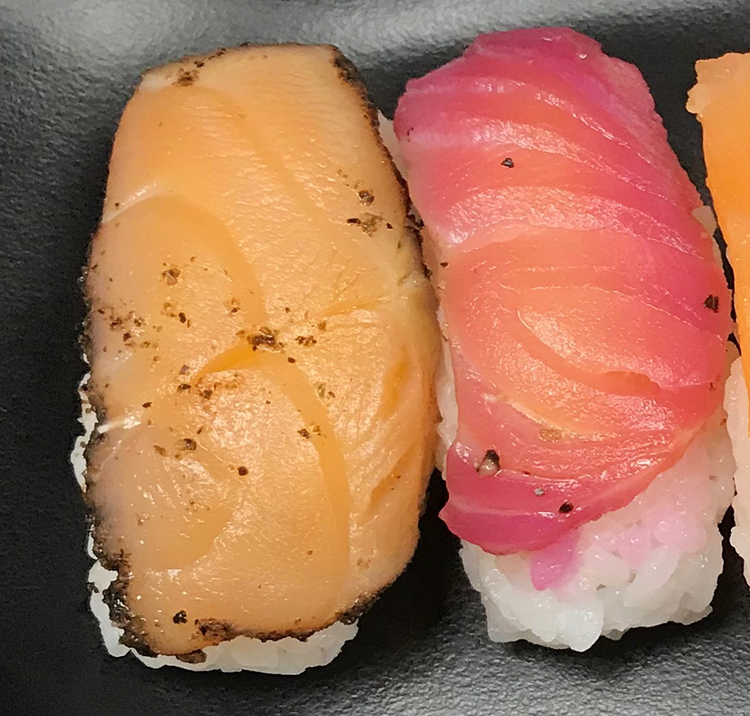 So whose smoked salmon sushi came out on top? First M&S. As you can see from the photo, they’ve got a little creative with their salmon. One piece is covered in dill, juniper, and pepper, the other has been cured with beetroot. One of our tasting team pondered evilly whether this was because they wanted to make it look more like tuna. But, unfortunately the rice was hard and the flavoured salmon tasted more like something you’d get as a starter than sushi. Not sushi was the overall opinion, so no stars for M&S in this round. Next up was Sainsbury’s, but their salmon was sliced paper-thin, their rice was hard and the rice vinegar was too sweet. There was nothing to recommend it. How about Tesco? The salmon was sliced thickly, creating a welcome feeling of generosity. But, once again, the rice was too hard and the overall effect was underwhelming. Morrisons’ salmon wasn’t bad, and their rice was the best of the bunch. 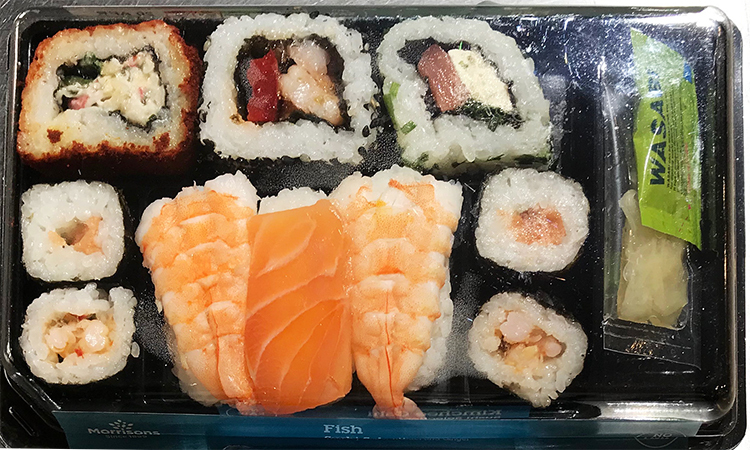 The overall victor of supermarket sushi nigiri taste-test was Morrisons. All of tasting team were in agreement that it was the most solid. In second place, seeing off M&S with their disastrous salmon experiments, was Tesco.